Posted June 29, 2017, in News. 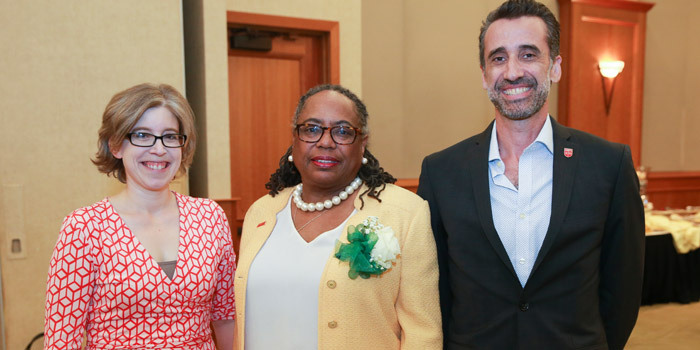 On June 13 Rutgers University and the New Jersey community celebrated Dr. Gwendolyn Harris’ retirement from a distinguished career in public service. More than 75 luminaries gathered to help Dr. Harris launch her life’s next chapter. Chancellor Phoebe Haddon MC’ed the event. Assemblywoman Pat Egan Jones, State Senator Nilsa Cruz-Perez, and Assemblyman Arthur Barclay honored Gwendy with a resolution from the 5th District, as did Freeholder Samuel Frisbee from Mercer County. Carolyn Heckman, Vice President at Inspira Health Network and Chair of the Walter Rand Institute’s Advisory Board, lauded Gwendy and read a resolution in her honor from US Congressman Donald Norcross. Jerome Harris, Gwendy’s husband, spoke beautifully in her honor as did Richard Roper, a friend and member of the Rutgers University Board of Governors. Gwendy’s career in public service spanned more than forty years, highlighted by founding Newark Emergency Services of Families, Inc., as well as serving as Chief of Staff, Business Administrator and Department Director during the Palmer Administration in Trenton, New Jersey, and as Commissioner of the New Jersey Department of Human Services during the McGreevy administration. Gwendy joined the Walter Rand Institute in 2007 and became executive director in 2011. 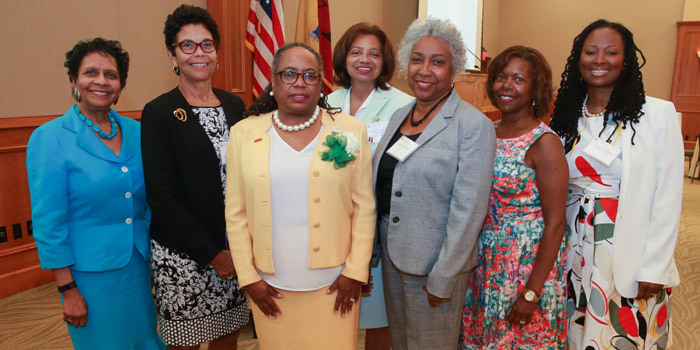 Under her leadership the Institute expanded its involvement in Southern New Jersey through applied research, neutral convening and community development. She more than doubled the Institute’s budget and full-time staff, and the Institute has active projects in Burlington, Camden, Gloucester, Salem, Atlantic, and Cumberland Counties. Gwendy is also the immediate past Chair of the Board of Trustees of Mercer County Community College where she served as a trustee since 2004, and outgoing Vice Chair of the Board of Directors for the Capital City Redevelopment Corporation. 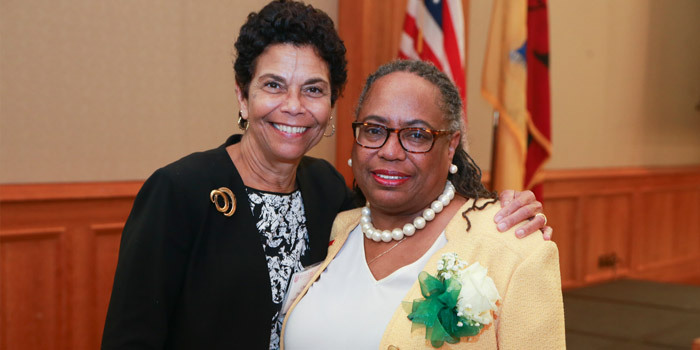 Congratulations to Gwendy on her high impact career as a force for positive change across New Jersey. We are excited to welcome the Institute’s new Faculty Director, Dr. Sarah Allred, and new Managing Director, Dr. Darren Spielman. 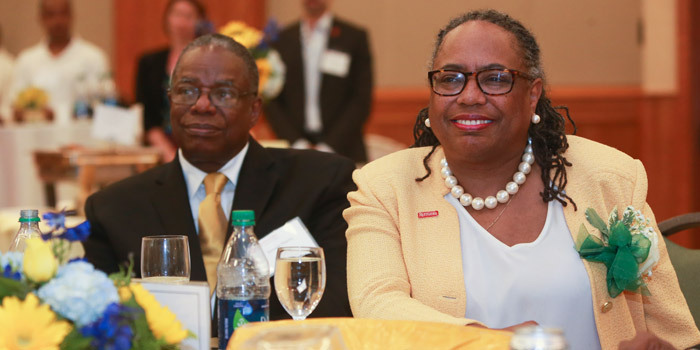 In honor of Gwendy’s dedication and leadership, please consider making a gift to the Senator Walter Rand Institute for Public Affairs at Rutgers University–Camden. This gift will pay tribute to the strong foundation set by Gwendy and will support the forward momentum and success of the Rand Institute as a preeminent applied research institute in South Jersey and beyond. Page last updated by Senator Walter Rand Institute for Public Affairs at 11:33 am July 5, 2017 . This page was printed from http://rand.camden.rutgers.edu/2017/06/29/gwendolyn-harris-retirement/ at 4:52 PM Monday, April 22, 2019.